Apple has released the second beta versions of iOS 10.1, watchOS 3.1, and tvOS 10.0.1. Additionally, the public beta version of the earlier released macOS Sierra 10.12.1 beta 3 is available. The most notable change comes with the iOS 10.1 beta 2 release, which continues to refine support for the Portrait mode camera feature available for iPhone 7 Plus users. 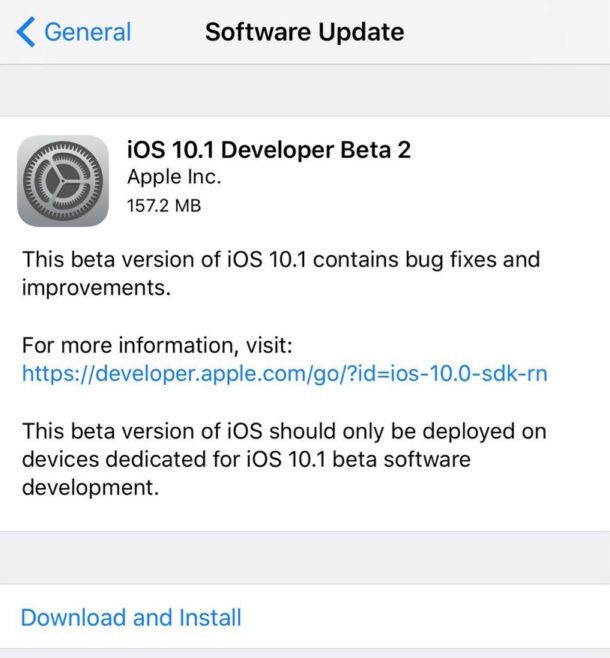 Aside from Portrait mode in iOS 10.1 beta, the beta builds for iOS, watchOS, and tvOS will focus on bug fixes and minor feature enhancements. Users enrolled in the beta testing programs can find the latest beta builds available from the OTA software update mechanism through the Settings app. Currently the release is available to developers, but the public beta version typically rolls out soon afterwards. My iPhones lose battery in about 1% per minute when used. Contacted with Apple Support, their tips (like turn off background apps refresh or restore iPhone from scratch) doesn’t help. I didn’t get it offered for my 6S Plus, but did for my iPod Touch. Not sure what’s going on there. iPod Touch has been reduced to very slow speed for browsing in Safari, poor thing. And the Siri voices no longer seem to be available for TTS on it, either. John try restoring your device as a new device in iTunes. Any time I have encountered a severe battery drain issue a clean restore has always resolved the issue. I can tell you for certain our 6s Plus and 7plus and iphone 7, and IPad Pro 9.7″ are all drastically improved from iOS 10.0.2 to iOS 10.1 beta 2. The beta 2 is right where it should be imo. Over the air updates are typically fine, but major updates, such as from 9.4 to 10.0.1 at times do require a fresh restore. Good luck! I was waiting for this update. After updating, my data connection is now working fine without any glitches.